"Be careful what you set your heart on, for it will surely be yours." What is it like to lose a much-wanted baby? Unborn: Post-Traumatic Thoughts of Loss, A Time to Mourn is the heart-rending story of one woman’s grief for the child she longed for, but tragically lost. 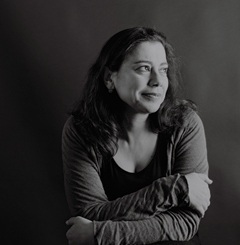 Niki Mylonas describes her feelings of failure, despair, and isolation. Questioning the soul that came and ‘left’ her, she hits out at religion, the world, and nature itself for their cruelty, fueled by her frustration with her inability to conceive again. Inspired by poetry, nature, music, her own intense feelings, and life’s unpredictable challenges, the author approached writing Unborn as a therapeutic form of healing. 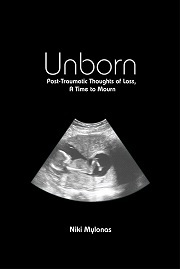 With a message that you must release the ‘ghosts’ of the past to move forward, Unborn is a healing, honest, and deeply insightful account of pregnancy loss, and how such a devastating experience can create damaging psychological effects. website: http://sbpra.com/NikiMylonas or at www.amazon.com or www.barnesandnoble.com.